Why are some people social butterflies while others shy away from unnecessary interactions with people? How do children bond with parents? How do we acquire language? 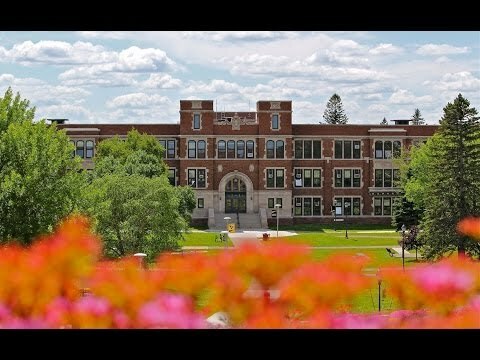 Explore emotions, social behavior, cognitive processes, abnormal behavior, and the brain through a major or minor in psychology at UW-Superior. Study the impact of biological and social factors and motives in regards to health, learning, emotions, and more. Examine how modern drugs influence the brain and behavior, and use critical thinking skills to analyze gender, interpersonal skills, psychology and society, the psychology of close relationships, and cross-cultural psychology. Through a designated Academic Service-Learning course, you will learn through service to the community and take skills and knowledge from your course to benefit the community. *The psychology minor is also available online through UW-Superiors Online Learning program. A major or minor in psychology can be used as a background for a wide range of careers in business, education, social work and counseling. Our graduates have been successful in master's and doctoral programs in psychology, social work, counseling, law and dentistry. You will gain hands-on experience through a senior research project. Each year an undergraduate research symposium provides an opportunity for senior psychology majors to present their projects. UW-Superior has a local chapter of Psi Chi –the national honor society of psychology, which sponsors guest lectures and provides many scholarship and grant programs. UW-Superior has an Inkblots club, which is open to all students interested in psychology and provides service activities in the Superior-Duluth community. Brittney Kemi is ready to answer any questions you have about Psychology.